city was considered a pressing challenge — a means of saving the city from suburbanization. That idea — analogous in its way to the pressing challenge of reclaiming the city from cars today — drew some of the best and brightest designers and engineers, who built garages that were optimistic, ambitious and formally bold, if not exactly friendly. 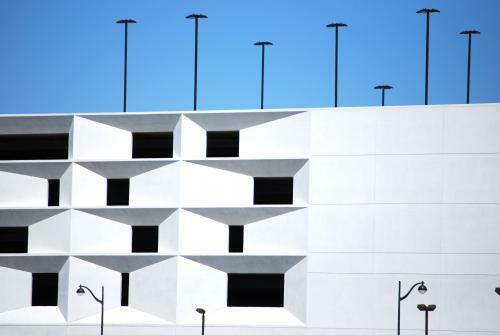 Modernist garages have no interest in hiding away or apologizing: they are sculptural monuments to the future. Later garages were guilty affairs, as urban designers wisely encouraged them to “blend in” or “minimize their impacts” on surrounding urban fabrics. 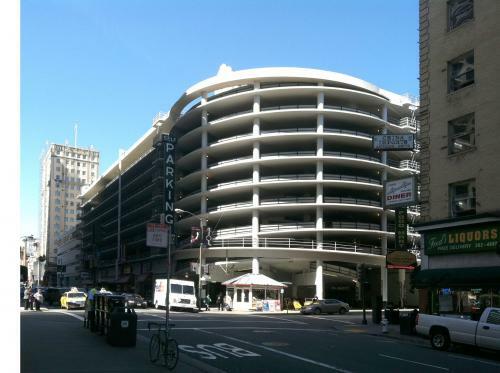 Garages became a necessary evil, far superior to surface parking in terms of both urban form and efficiency, and pricing could be managed to serve planning goals: Shopping? Okay, three hours is a bargain. Commuting? This may sting a little. hopes) with the lessons of context and human scale still internalized. If we’re going to build housing for cars, let’s first do no harm. Then, strive to make things of beauty. 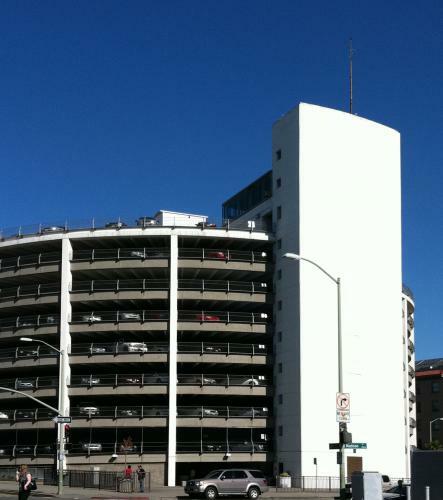 designed by George Applegarth in 1954, set the standard for urban parking and was widely praised. right through the ground floor with an assist from the topography. Vehicle access is discreetly tucked away. recent decades belongs to this 2009 garage by WRNS Architects. A return to the sculptural ambitions of the 20th century, with a modicum of sensitivity to the area’s emerging fabric. Not everything works, but the signature move is stunning. courthouse, crowned (of course) by a heliport! 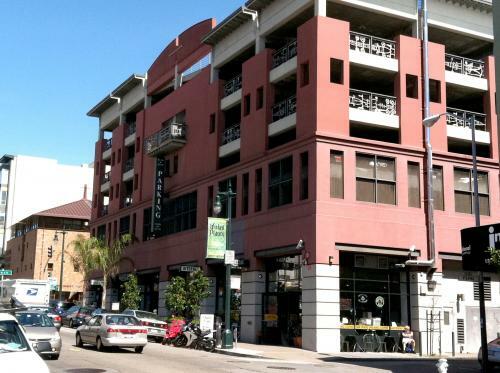 Fourth and San Fernando streets in downtown San Jose. 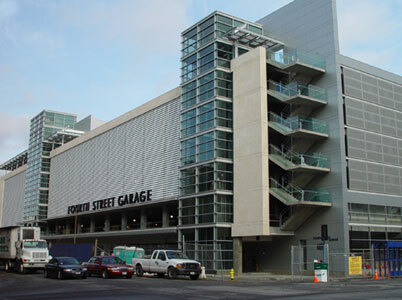 This early 21st century garage really nails the urbanism, but in a slightly less hokey architectural idiom. Generous ground-floor retail and well-placed pedestrian access through glass elevators and sculptural stairs reflect a lot of attention to urban design. University and is the co-founder of city|space. He is currently leading SPUR’s development of a multi-agency master plan for Ocean Beach.